LinkedIn has invested heavily in original brand journalism. But why? And how can your brand learn from the platform that sold to Microsoft for billions? It's really all about expertise, engagement, and editorial credibility -- each of which any brand can enjoy through a commitment to consistent editorial-quality content. 'Editorial credibility' is not limited to publishers or social platforms. This is a key insight for any brand looking to content marketing for results: Talk less about yourself and more about your stakeholders, and how your brand sees your industry and the wider world. By providing analysis and insights from the perspective of the brand, there's a trust that is built with the reader. But that reader is a prospect or an existing customer or an employee. Trust is invaluable. Sure, there're some struggles with quality. Like any social platform, the quality of shared content rests on the shoulders of the network's members. And LinkedIn struggles with a certain rogue element of spammy members that don't grasp the point of the professional networking platform. This is the halo effect of 'editorial credibility' -- a halo effect that any brand can easily enjoy, not only on their own company blog but also (thanks to LinkedIn's own efforts) especially by publishing compelling content on LinkedIn itself. This is the impact of original brand journalism: Consistent engagement thanks to content that readers can't easily get elsewhere. Each engagement touchpoint is a vote of confidence. Each time a user engages with a shared link, a colleague's comment, or an original article published to LinkedIn, it further entrenches the platform's aura of inevitability when it comes to professional networks worldwide. This engagement drives the utility of the platform for professional life. LinkedIn's mission is to "create a digital map of the global economy to connect talent with opportunity at massive scale." With original content peppered within user activity, the platform can target topics and guide conversations throughout its global network to achieve its stated mission. LinkedIn's focus on original brand journalism is a powerful tool to drive thought leaders to contribute, while also further cementing LinkedIn's brand in the marketplace of professionals worldwide. Invest in content. It's not surprising that this would be our perspective. We obviously believe passionately in the power of content. However, it's always worth highlighting. Great content isn't cheap. And it most certainly doesn't create itself. Make an investment, even just a small experiment, to see how publishing to your company blog, LinkedIn, and/or Medium can evolve/establish/define the narrative around your own company. You'll be surprised at the shift in engagement your marketers, salespeople, and customer success managers have. Write for your audience, not just for yourself. Just like a dinner party, no one really wants to keep talking to the person that only talks about themselves. Don't be that guy -- approach your brand marketing with an editorial sensibility, and you're well-positioned to see a long-term return on the investment in a smart, cogent, and consistent content strategy. Test and learn. 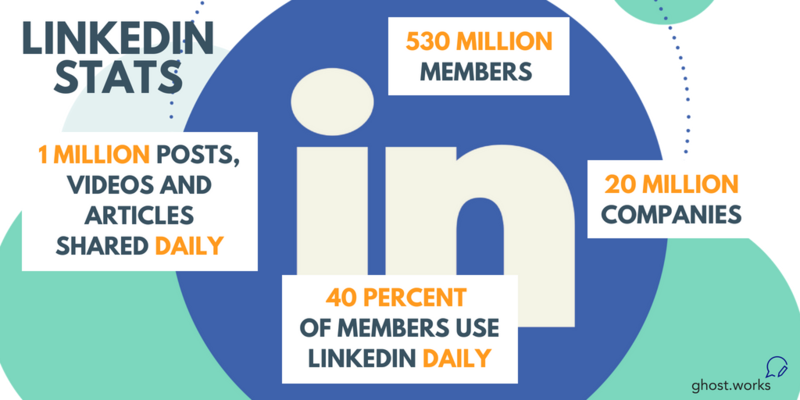 LinkedIn has been involving their approach to regional content for years. As the company hired more editors, who in turn started creating more content, the process improved. It became a defining feature of the platform today. So as you decide to make the financial investment and begin writing for your target audiences, don't expect immediate results. Give the project space to breathe, so that there's time to test and learn. Don't rush, don't come to premature decisions, and allow enough time to analyze the results. Then you have a clear picture of how an investment in brand journalism pans out for your specific situation. This is more of a shift in brand strategy rather than an initiative with an expiration date. With these three steps, you're well on your way to enjoying the long-term benefits of brand journalism for your company, and its executives, employees, and stakeholders.